My beloved family and I, went to Supertree to have dinner recently. It has the best view from their top alfresco bar at level 16. The view there was magnificent. We had a view drinks at their roof top bar, before we went down to level 15 for our dinner. Lora and I took plenty of photos before we headed up to the top of the Supertree. These magnificent Supertrees are tree-like structures that lights up at night to beautify the scene at Gardens by the Bay. They range from 25 metres to 50 metres tall. They function as environment engines for the gardens, yet, they stand tall looking so beautiful, with its planting and shading works. These Supertrees also serve as air intakes and exhaust for the conservatories cooling systems. Lora and I really love the purple-pinkish effects. This is a view of Marina Bay Sands from their rooftop bar. You are able to see the Singapore Flyers and the whole Gardens by the Bay from the top. After having some cocktails at Level 16 which is an open top bar, we went down to level 15, for their fine dining dinner. The design of the place looks really pretty, with plenty of flowers and plants around their tables. They also have quite a number of Buddha statues around. Their bar looks really colourful. The food there was pretty good. One of our favourite, was their Lamb Shank. They serve mainly Vietnamese-Western fusion food. Their BBQ chicken was quite tasty too. The table settings are really nice, with flowery table clothes. We had a huge Indochine Platter, whereby we were able to try all their different dishes merged into one big plate to share. A bottle of wine there cost around $80++. We had an awesome night out. 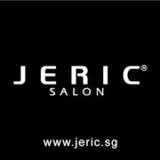 My curly hair was done by JERIC Salon at ION B4.